Each of our plaques ares individually carved and crafted in 100% real wood. We have added two sawtooth hangers for your convenience and fast display! 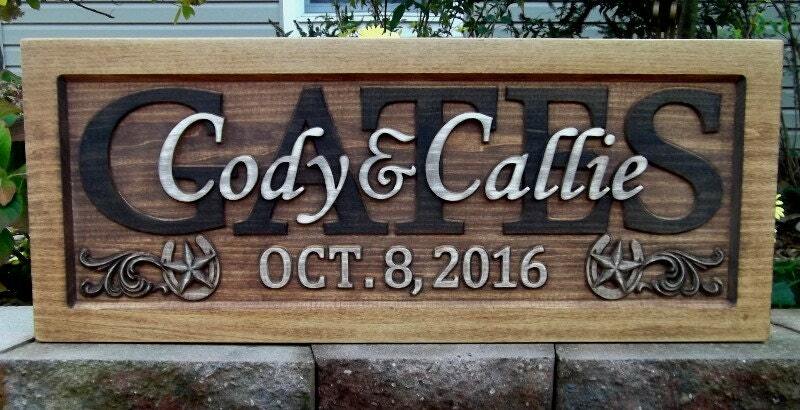 Beautiful and unique wedding gift and keepsake. Thanks so much for quality craftsmanship, great packaging. . . can't wait until the Bride and Groom open it!